The Town of East Hampton has a long record of sustainability leadership, particularly on the issue of open space. 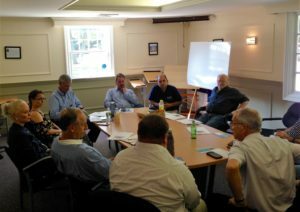 But there are many steps the town can take to continue to improve its environmental performance–and the town’s elected leaders will play a critical role in this effort. For this reason, the New York League of Conservation Voters Education Fund, on behalf of the East Hampton Environmental Coalition is pleased to present the East Hampton Green Guide as a resource for all candidates running for town office in 2017. The East Hampton Green Guide is a one-stop-shop for candidates, policy makers and current elected officials to learn about new opportunities and approaches to persistent sustainability challenges. 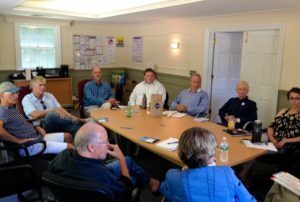 Members of the EHEC also had a chance to meet with the candidates for town board and to brief them on the important issues articulated in the Green Guide.